I wanted a neutral theme but still giving them seperate colors. The girl theme set is "Once upon a pond" and the boy theme is "Turtle Reef" I took the green from both sets to link the two themes! Where did you get your bedding? 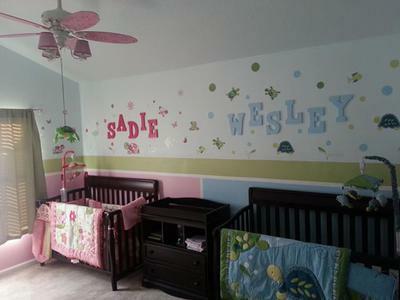 Love your nursery!